Where can I find the Visit The Wizard, it say's I need to get 45 Dorthy's there? 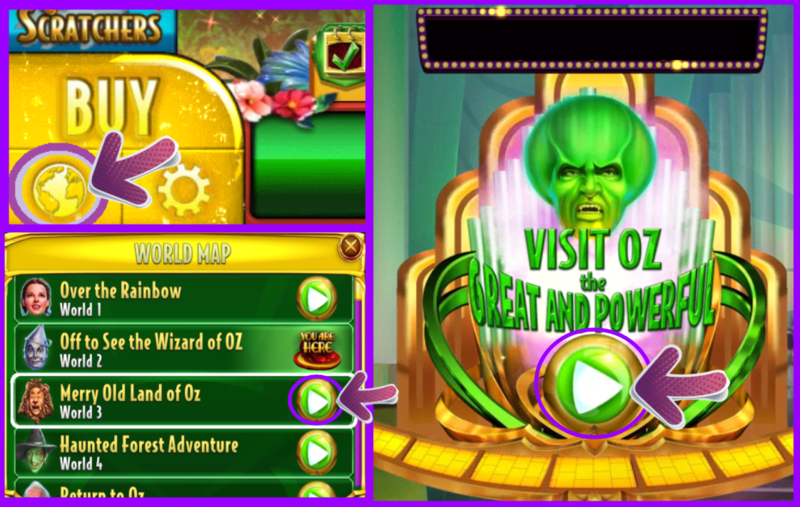 'Visit the Wizard' is the 5th Room in World 3 (Merry Old land of Oz), @Delawareelder. You can tap on the 'Globe' icon in the Main Lobby to easily access the available Worlds.